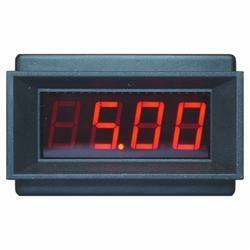 - Bright 3 Line 14mm LED Display. Module no. : NA-DTM, Temperature range: 0 - 70 degree Cel, Temperature sensor:Semiconductor type, Temperature set O/P: Potential Free contact, Auxiliary Power Supply: 24V DC, Over all Dimension:65 (L) x 71 (W) x 35 (H) in mm, Housing:Din Rail Mount on “Omega / “C channel. Protrol Process Control Pvt. Ltd.
Output : Relay contact, SSR O/P. 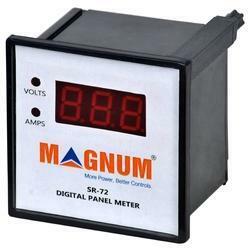 Our clients can avail from us exclusive range of Digital Panel Meter Bezel. Our offer Products are Available at market competitive rate. This product is used for soldering connecting wires and also offers high accuracy combined with high read rate. We offer this product at market competitive rate. We are a renowned Manufacturer and Supplier of Digital Panel Meter, which is available in different dimensions and weights to meet the requirements of the clients. Our wide array of Digital Panel Meters undergoes strict quality checks at each stage of production process in order to maintain high quality standards. Our company is highly esteemed in offering Red Lion Panel Meter to the clients. Red Lion Panel Meter (Standard Meter) is robustly designed by using high grade components and contemporary technology by adept professionals. Offered range is known by clients for strong built, impeccable performance and long operational life.